We are a leading Wholesale Trader of bearing tester s908 4 parameter, shock pulse bearing analyzer 107b, bearing condition analyzer 77d11 with non-contact tacho, roller bearing condition assessment meter dpk-vibro, bearing and unbalance analyser 9080 and pen type bearing damage detector 9070 from New Delhi, India. 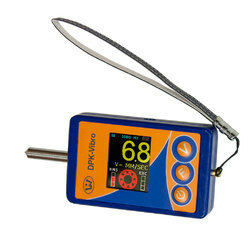 One button control both power and measurement. Very easy for use. 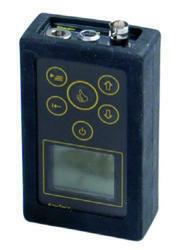 Suitable for monitoring machinery vibration caused by out-of-balance, misalignment, gear damage, bearing faults and etc. Battery: 9V 6F22, 25 hours of continuous operation. 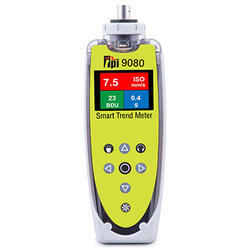 107В is a compact, handheld, microprocessor based vibration-measuring instrument designed to measure vibration parameters of the rotating machine according to ISO 10816, as well as other international standards which have been set on the same level - vibration acceleration, RMS vibration velocity, vibration displacement and Vibration spectrum analysis in FFT. It allows to measure the dynamic signals followed up by the record it into the non-volatile memory, as well overview and analyze the spectrum. Ideally, rolling bearing elements are separated by a protective lubricant film, which impedes their collision. However, manufacturing defects, damages, which appear during operation, dirt in the bearing, insufficient or incorrect lubrication – all these factors cause the collision of the bearing elements and, as a result, acoustic oscillations of a wide spectrum are generated in the bearing body. Power supply, 3.6V NiMH rechargeable battery. Continuous operation on batteries, not less than 10 hours. Current consumption 220V, 50 Hz AC, not more than 5VA. The limits of complementary error of the instrument at voltage changing from 3.6Volts to 2.8Volts. Probability of no-failure operation, not less than 0.92 per 2000 hrs. The average instrument life, not less than 10 years. Failure time, 1000 hours. The average failure time is set for stan-dard conditions for operation. Dimensions, not more than 60 х 110 х 30 (mm). Weight, not more than 210 gram. 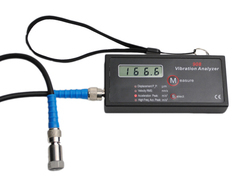 Looking for Bearing Condition Monitoring Systems ?